TAYNAMI! Blood and gore edition! Weeeeeeeeeee! 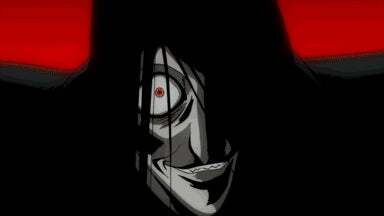 Hellsing Ultimate starts at 3 am! Definitely one of my favorite anime. Anyway, for those that haven't seen it, know that it's pretty cheesy, but also really awesome and almost literally filled with blood. BLOOD MWAHAHAHAHAHA! Alternatively, how do you feel about non-Japanese accents in subs? Are you able to identify them? Those that have seen both the dub and the sub for Hellsing Ultimate, which do you prefer? I prefer the dub.